I was sent a copy of a fun new cookbook (packed with personality), The Chew: An Essential Guide to Cooking and Entertaining to review on the food blog a few weeks ago. I actually waited a little while just to let it get closer to Mother’s Day and Father’s Day shopping because this book is a perfect gift idea. Just be sure to grab yourself one while you’re at it. I love everything about this cookbook. The recipes are just the sort of recipes you’d expect with the names you see on the cover and the same can be said of the “spirit” of the cookbook. When you see the characters on the cover and see them in action on The Chew, you know they march to the beat of their own wooden spoons and that makes for pure entertainment. It also makes for a must have cookbook – whether you watch the show or not. The hosts bring their positive energy to every page of this cookbook – as well as their expertise in the kitchen. 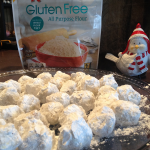 As you can see and even expect from most cookbooks, the majority of the recipes aren’t “gluten free,” however thanks be to God we live in a time where gluten free all purpose flour and gluten free bread exist – meaning that any recipe you see in a cookbook can be made gluten free. Mario Batli’s DELICIOUS SOUNDING Spicy Dollar-Saving Pasta is simple to gluten free-ize – simply substitute gluten free pasta and use gluten free panko bread crumbs for the bread-crumb topping. Get a load of the ingredients in this dish – yellow onion, pasta, garlic cloves, scallions, Italian sausage, tomato paste, jalapenos, and a panko bread crumb topping. I don’t know about you, but this recipe, is making my mouth water. So much so, in fact, I’m going to make it one night this week. Of course, there are recipes that are already gluten free – such as Daphne Oz’s Banana Dippers and Popcorn Shrimp (which uses rice flour), Carla Hall’s Disco Fries, and Clinton Kelly’s General Tso’s Chicken (just be sure to substitute Tamari for the soy sauce). Michael Symon’s Sweet Potato Gnocchi with Brussels Sprouts and Brown Butter uses a combo of almond flour and all-purpose flour (simply sub gluten free all-purpose flour for the all purpose flour) is at the top of my “make soon” list. 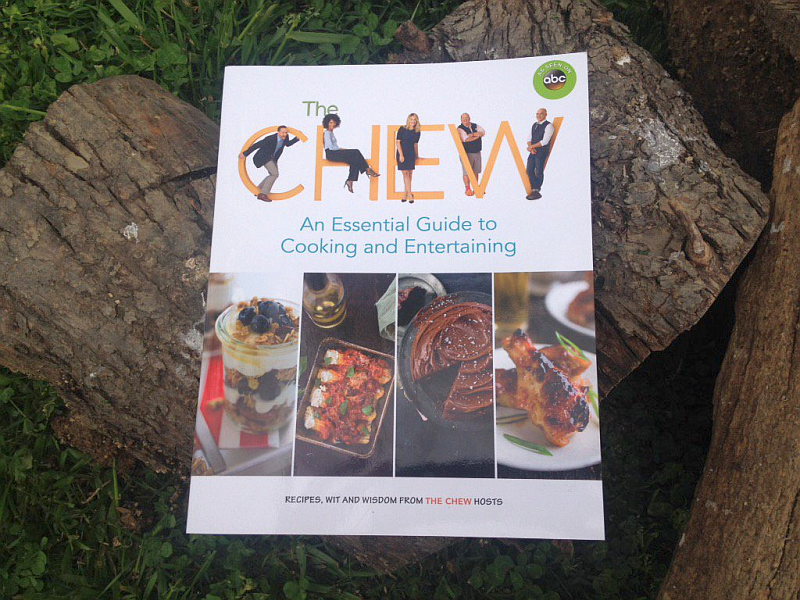 Everything You Love About The Chew Captured in One Book! 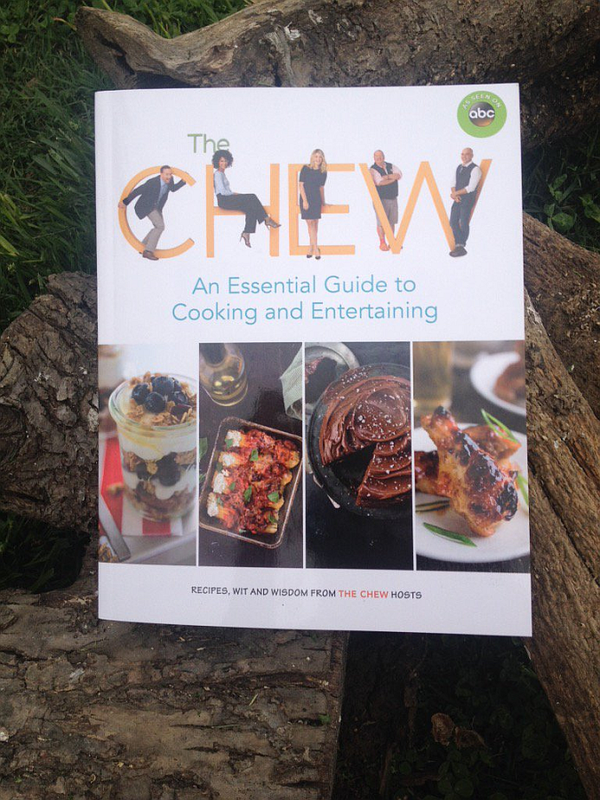 In The Chew: An Essential Guide to Cooking and Entertaining, the five hosts of the hit ABC daytime show invite you to enjoy the fun and flavor of cooking without the hassle and expense. Mario Batali, Carla Hall, Clinton Kelly, Daphne Oz, and Michael Symon provide mouthwatering recipes and useful entertaining tips to make cooking for your family and friends simple, cost-effective, delicious, and fun. In this fourth cookbook from The Chew, the hosts bring their wit, wisdom, and practicality straight into your home. In Back to Basics, learn how Daphne Oz prepares her Easy Oven Roasted Turkey Breast that is both delicious and a time-saver. Clinton Kelly’s Eggs Benedict recipe is a Comfort Classic that will make Sunday Brunch the best part of your weekend. 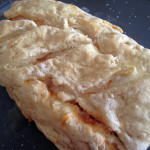 Michael Symon’s Pizza Rolls are guaranteed to become one of your Feel-Good Family Favorites. In Old Faves, New Flaves, Carla Hall offers up her Cheesy Pull-Apart Pesto Bread, putting an exciting twist on garlic rolls. And Mario Batali’s Meat Loaf with Creamy Shells ‘n’ Peas is the definitive guilty pleasure. Answers to viewer questions that give you added details and insights from The Chew hosts. Delicious favorites handed down from the hosts’ families to yours. Mouthwatering meals that can be made ahead of time or in a slow cooker. 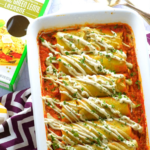 Several innovative ways to put a new spin on a favorite recipe. A wide range of recipes from breakfast to dessert, from the lighter side to guilty pleasures, and everything in between. I can’t say enough about the GREAT recipes in this book – they really are exceptional. I also love all the fun pictures from the show and behind the scenes. This fun group seems to really love each others company and it shows. There’s just a wonderful vibe about the entire book and it, along with fantastic recipes, makes it one of my favorite cookbooks, period. What is it about cookbooks Michael Symon is tied to? They’re always among the best. Golden touch, much? 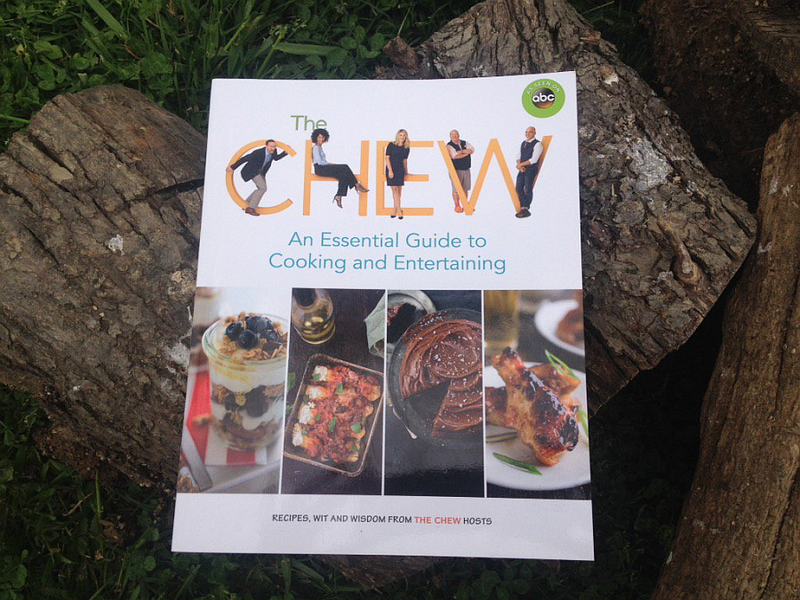 I cannot think of anyone this cookbook wouldn’t be ideal for – new cooks, veteran cooks, moms, dads, college kids, bachelors, bachelorettes, new brides, new grooms… as long as the individual enjoys positive energy and great food, The Chew: An Essential Guide to Cooking and Entertaining is a book they’re going to love. I have a new obsession in the kitchen: Cake Boss Mixing Bowls. 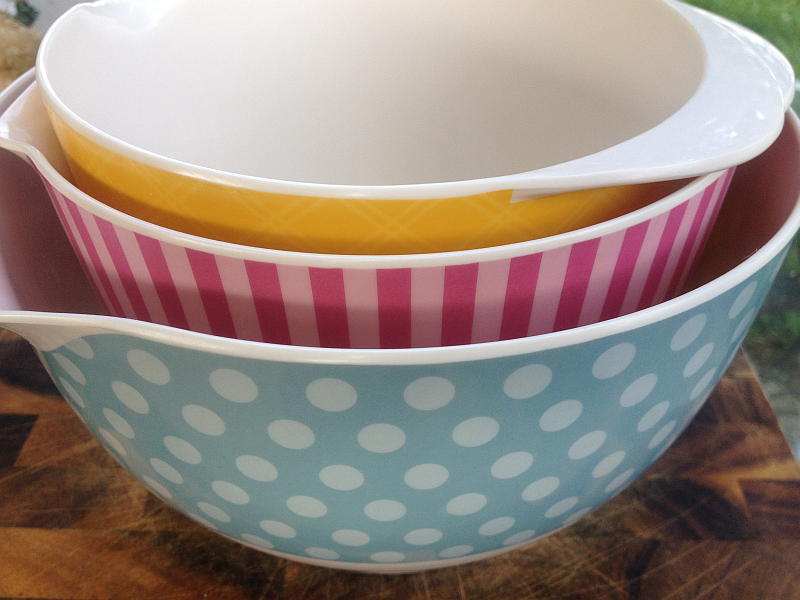 One of the gifts from my oldest daughter (Emily) for Mother’s Day was a gift bag filled with Cake Boss Bowls: The Cake Boss 2-Piece Melamine Mixing Bowl Set (the pink and blue bowls) and Cake Boss Melamine Mixing Bowl , Small (yellow). She’d seen that I’d written about them before here on the food blog and knew I’d love to actually have a set of my own. I LOVE when my family reads (and catches!) my not-so-subtle hints! These bowls are even more adorable in person. They’re fun, colorful, high-quality, and uber functional. I’ve lost count of the number of times I’ve used mine since Mother’s Day. I use them for waffles, cakes, cupcakes, whipped cream, beating eggs, cakes, cookies, and on and on. I also use them for their looks – as in setting them out prominently to show off and look pretty! Each mixing bowl is crafted from durable yet lightweight melamine and designed with a rubberized base for stability (no chasing the bowl across the counter top); top-rack dishwasher safe. They are exceptionally unique and unbelievably good looking. I just love the retro look of these bowls. They have cool little rims as handles on one side pour spouts on the other for pouring. These beautiful bowls are absolute perfection. Click through any of the links below for more information. See more Cake Boss Bowls on Amazon ! I’m one of those people who’s naturally drawn to the unexpected… the whimsical, even. That’s why our home is filled with things that make us smile. Whether it’s fat-bellied pigs gracing a kitchen shelf or a stuffed bison on a computer desk – the only requirement to get into our house is to basically be a smile waiting to happen. The beautiful whimsical and whimsically beautiful Cake Boss Bowls , shown here, have an open invitation. This 2-Piece melamine mixing bowl set has a 2-quart bowl with pink stripes and a large 3-quart bowl with a blue and white polka dot pattern. Each beautiful bowl is crafted from durable melamine and designed with a rubberized base for stability – because few things are more frustrating than having to chase your bowl across the counter. 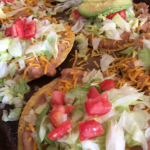 While they are TOP SHELF dishwasher safe, they would undoubtedly be among my extra-special dishes that get the sink and Dawn detergent treatment. Anything this adorable HAS to get the kid-glove treatment as far as I’m concerned. 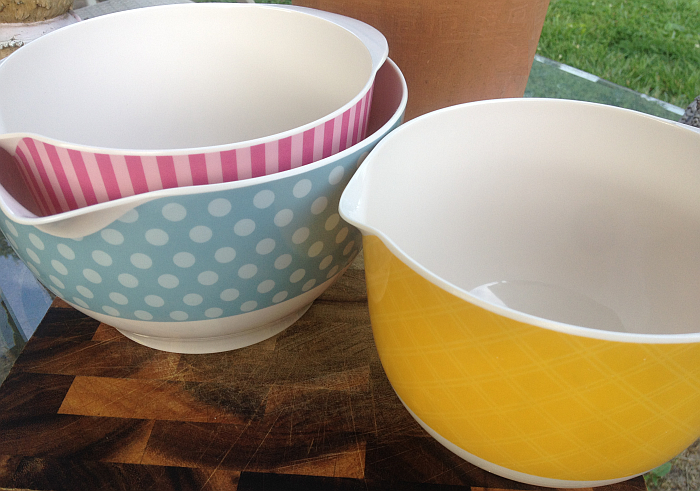 See Cake Boss 2-Piece Melamine Mixing Bowl Set for a closer look. While on Amazon, be sure to take a look at the entire lines of Cake Boss Bakeware and the extra gorgeous Cake Boss Serveware . I never thought I’d ever use the word “gorgeous” to describe mixing bowls, but that’s the only world that’ll do for these beauties. 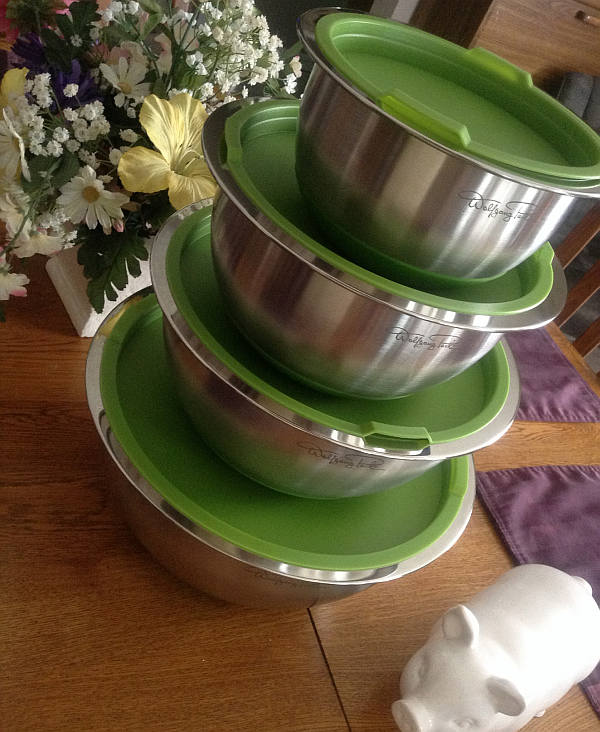 The Wolfgang Puck 8-piece Stainless Steel Mixing Bowl Set with Silicone Bases has forever changed the way I think about mixing bowls. We ordered a set from HSN a few weeks ago and I fall a little more in love with them each time I use them. They’re getting a special treatment that no other mixing bowl set has ever gotten – they’re allowed to stay out of the cabinets… in plain view! Quite frankly they’re too pretty to hide away. Each time I use them, I think of someone else I’d love to buy a set for. The bowl stays in place while you’re mixing, so you don’t have to chase it around the counter or hold it securely in place. I also love that the snug-fitting lid eliminates the need for aluminum foil, plastic wrap, or (tackier, still) wobbly saucers placed on top of the bowl. Been there, done that, died a little inside. I’ve actually ordered several things from HSN lately that I’ve loved wildly. I’ll be letting you know about a “Miracle Pan” tomorrow that I have NO IDEA how I ever lived without. These aren’t sponsored posts, paid for reviews, or even affiliate posts – I’m just anxious to share something with you that I know you’ll love as much as I do. Be sure to click through the following link and learn more about the Wolfgang Puck 8-piece Stainless Steel Mixing Bowl Set with Silicone Bases. To brine turkey: In large bowl, combine water, sugar, salt, peppercorns, lemon zest, lemon juice, and crushed garlic cloves. Using side of heavy knife, lightly crush sage, thyme, and rosemary on cutting board, then stir them into brine. Submerge turkey breast, meaty side down, in brine. Cover and refrigerate for at least 2 hours, and up to 8 hours. Meanwhile, make sage brown butter: In medium skillet, stir 6 tablespoons of butter over medium heat for about 4 minutes, or until it melts and turns nutty brown. Add sage, shallots, and garlic and stir for about 1 minute, or until shallots soften. Pour butter into medium bowl and let cool. Add remaining 10 tablespoons butter to brown butter and blend well. Season to taste with salt and pepper. To roast turkey: Preheat oven to 350°F. Remove turkey from brine; discard brine. Rinse turkey under cold running water. Pat it dry with paper towels. Place turkey on cutting board. Using your fingers, carefully make pocket between skin and breast meat. Spread about ⅓ cup of butter under skin to cover breast meat completely, then rub ⅓ cup of remaining butter all over outside of turkey breast. Tie breast crosswise in a couple of places with kitchen twine to help it hold its shape. Spread carrots, celery, onions, and garlic halves on large, rimmed sheet. Set turkey breast on top and roast for about 1 hour and 20 minutes, or until an instant-read thermometer inserted into thickest part of turkey reads 155°F. Transfer turkey and vegetables to platter and let rest for 10 minutes. Meanwhile, pour any pan juices into small saucepan. Let stand for 3 minutes, then spoon off fat that has risen to surface of juices. Set baking sheet over medium heat, then pour in broth and bring to simmer, scraping up browned bits in pan with wooden spoon. Add to skimmed juices in saucepan. Bring to simmer and season with salt and pepper. Transfer to sauceboat. In small saucepan, melt remaining sage brown butter over medium-low heat; transfer to bowl. Using large sharp knife, cut turkey crosswise into slices. Return turkey to platter and serve with stuffing, melted sage brown butter, and pan juices. 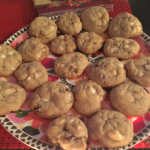 The recipe above was published in the wonderfully delightful and delightfully wonderful Saturday Evening Post and is graciously being shared with our readers. 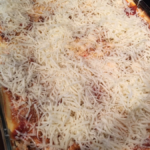 A few other recipes I saw on Saturday Evening Post’s Website I’m pretty sure you’ll want to check out are listed below. Can you believe it’s already time to start planning your Thanksgiving menu?!?! I SO love this time of year! Pumpkin Stew – Pumpkin, combined with red peppers, green peppers, black beans, and yellow corn – a stew that’s as nutritious as it is colorful! Raspberry Lime Chia Cooler Smoothie – Another healthy beauty and a perfect pick-me-up while baking or after shopping for presents. Vegetable Stuffed Turkey Meatloaf – This looks so incredibly good! I know I’m making this one soon. True Story: I tried to begin a coffee review of La Colombe Coffee but I just would not shut up about La Colombe co-founder Todd Carmichael’s Travel Channel show Dangerous Grounds. Problem is, this coffee is way too special not to have a review’s undivided attention. Realizing that (once I get going) making me shut up is like trying to sneak a sunrise past a rooster, I decided the only thing to do was to get all of my Dangerous Grounds love out of the way, THEN proceed to the coffee reviews. It’s like dealing with a child. One of the most addictive and deliciously entertaining shows on television is Dangerous Grounds on the Travel Channel. I remember when my husband and I saw the first preview for Dangerous Grounds. We didn’t have to say anything. We knew we wouldn’t miss a single episode. Heck, we didn’t miss a single adventure-packed, caffeinated second. However, television kind of needed a shot in the arm before Dangerous Grounds came along. Viewers needed something that was fresh, innovative, and unexpected. Something that would keep them hooked on every minute and make them count the days till the next episode. Dangerous Grounds? It was that shot. You remember what “Can’t Miss” TV looked like right? The documentaries, dramas, or comedies that “defined” the day they were on. The ones you sat glued to front to back – not even wanting to look away during the commercials because a trailer for the next episode might just show up! If you’ve forgotten what Can’t Miss tv looks like, Dangerous Grounds is your reminder. Dangerous Grounds is as addictive and life-sustaining as its subject matter! The Travel Channel hit one out of the park with this one. Dangerous Grounds helped elevate their channel to the being named in the same conversation as the History Channel and that is no small feat. Because of Dangerous Grounds, I started tuning into the Travel Channel even more regularly and discovered that they have A LOT of great shows. If you missed Season 1 (I’m dying for it to come out on DVD, I’d be on it faster than I’m on my first cup of coffee in the morning. ), I’ll try to forgive you. Just promise me you’ll go to Travel Channel.com and catch up with episodes and scenes. See Dangerous Grounds Episodes Online. Todd Carmichael travels the globe, hunting for the highest-grade coffee in the world. Why? Because nearly a billion people drink coffee each morning, making it the number 2 commodity in the world, second only to oil. Todd focuses on the very best coffee out there — beans so rare, they are sought after by the world’s top chefs and restaurants. Todd has to go to some of the most exotic, fascinating and dangerous places on earth to find it: from the cities, villages and mountains of Haiti, Bolivia, Madagascar, Borneo, Cuba and Vietnam. Buying the coffee beans direct from the farmers means Todd must encounter treacherous terrain, danger and sometimes, even opposition from entrenched middlemen. There’s an amazing story behind every cup. One of the funnest things about Dangerous Grounds is the interaction between Todd Carmichael and his cameraman, “Hollywood.” Great stuff. They find their ways into and out of danger on a regular basis – all in the name of the perfect cup of coffee. I don’t know what more I can say other than it’s a helluva ride and one I wouldn’t miss a second of. And, no, I don’t leave the room even for commercials. I make sure our snacks and drinks are all within reach because this gal isn’t going to budge for 60 minutes. Whether you, too, are already a die-hard fan or you’re a brand new one – you’ll want to see the Dangerous Grounds section on Travel Channel’s website. You’ll find Q&As with Todd Carmichael, Coffee Facts, great Pictures, some of Todd’s recipes, and a lot more. I’ll let you know the minute I find out the premiere date for season 2. I foresee an all out, day long party in our household – coffee, chocolate cake, more coffee, more chocolate cake… Yes, as a matter of fact, that is how we party. Here’s a delicious partnership: One of the judges on America’s Next Great Restaurant is Chipotle CEO Steve Ells and he has something pretty cool up his sleeve. He’s offering free burritos to people who “Like” the show on Facebook! Just “like” the page, watch an exclusive preview of the series and after the video is complete, you’ll get a printable card that you can redeem at any Chipotle location. The promotion ends on March 6th, so head over as soon as you can to take advantage of this awesome offer. Go to the official Facebook page for more information and to become a fan: America’s Next Great Restaurant on Facebook. America’s Next Great Restaurant should be a lot of fun. We’ll find out soon enough, the series will premiere on March 6th! From Emmy Award-winning producers Dan Cutforth and Jane Lipsitz of Magical Elves (“Top Chef” and “Project Runway”) comes “America’s Next Great Restaurant.” In this delectable new alternative series, people from every walk of life will vie for the opportunity of a lifetime to see their original restaurant concept spring to life – starting with the opening of a restaurant chain in three locations – Hollywood, Minneapolis and New York City. Funding the restaurant concepts are four accredited investors: Bobby Flay, distinguished restaurateur (“Iron Chef America: The Series,” “Throwdown! with Bobby Flay”); Curtis Stone, internationally renowned chef (NBC’s “The Biggest Loser,” “Take Home Chef”); Steve Ells, founder, chairman and co-CEO of Chipotle; and Lorena Garcia, executive chef and restaurateur. Flay, Stone, Ells and Garcia not only serve as investors who put their money into the winning restaurant idea, but they also serve as mentors. They will be working side by side with the competitors to further develop their concepts and put each competitor’s restaurant concept through rigorous business and cooking challenges to determine which idea has what it takes to become America’s next great restaurant. After a nationwide search, the top 21 competitors will present their restaurant concepts to the investors and 11 will be quickly eliminated – leaving the top 10 competitors to battle it out over the course of the season. The investors will determine which competitor’s concept has the greatest potential for success, and those who do not rise to the challenge will be sent home. In the final episode, someone will fully savor his or her great American dream of launching his or her own restaurant chain, and viewers will have the opportunity to experience it for themselves. “America’s Next Great Restaurant” is produced by the Emmy Award-winning Magical Elves. Dan Cutforth, Jane Lipsitz, Ross Jacobson, Nan Strait, and Amy Chacon serve as executive producers. Casey Kriley and Gayle Gawlowski serve as co-executive producers.